It was a sunny cold winter’s day as I popped down to Jon Hare’s house for an ultimate fanboy moment. Yes, I was a fan of Wizball and Wizkid, but – wow. This man designed Cannon Fodder! And Sensible Soccer! 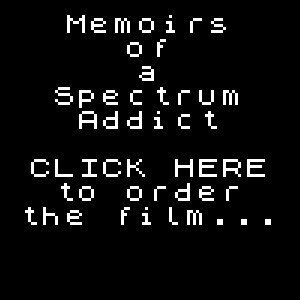 All will be revealed in Memoirs of a Spectrum Addict, due for its premiere around the end of August 2016, and which can be preordered by clicking the image to the right. And yes, Jon did win 4-1 on the new Sociable Soccer. He looked suitably gutted when I scored, though, ha ha ha!!!!! (evil cackle).